For the first half of Sunday’s 500 miler at Texas Motor Speedway, Paul Menard and the No. 21 Motorcraft/Quick Lane team were having their best run of the season. Menard started 14th and quickly drove his way into the top 10. He finished sixth in the first 85-lap Stage and fifth in the second, earning 11 stage points, his first since the season opener at Daytona International Speedway. He was running third in the early laps of the third and final segment of the race when a loose wheel forced him to pit road for an unscheduled pit stop at Lap 194 of 334. Menard dropped to 28th place, battled back to 19th and ended the race in that position. Eddie Wood said he and the rest of the Motorcraft/Quick Lane crew were disappointed with the final outcome but buoyed by the team’s performance in the first half of the race. Wood pointed out that Menard continued his determined drive for the remainder of the race, but the breaks didn’t go his way. 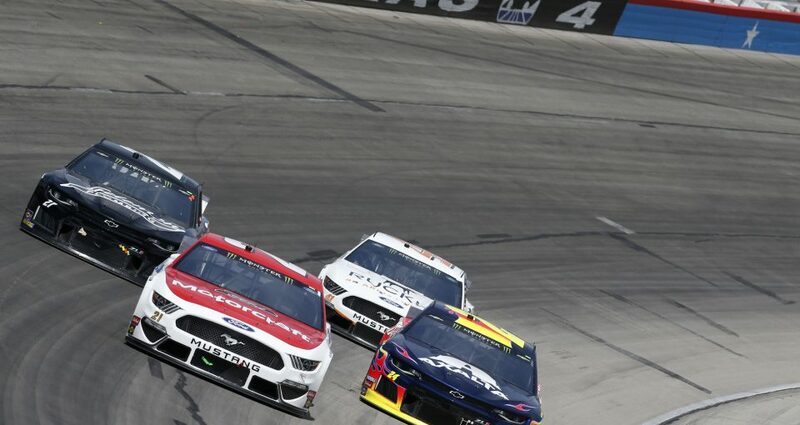 “Paul wound up getting back on the lead lap at one point, but the caution flag flew at just the wrong time, and we missed the chance to get back on the lead lap and be in good shape again,” he said. With 80 laps to go, Menard was in position to regain his lap should the caution flag fly, but that needed caution, for debris from Daniel Hemric’s blown tire, caught him on pit road and the opportunity was lost. Wood said there are positives to take from an otherwise disheartening day. Menard and the Wood Brothers will be back on the track this weekend at Bristol Motor Speedway.